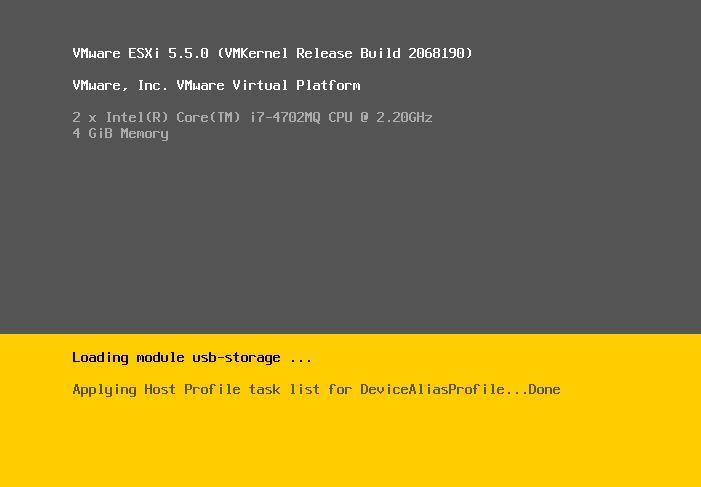 Download Offline Bundle for ESXi 5.5 with all other VIBs. 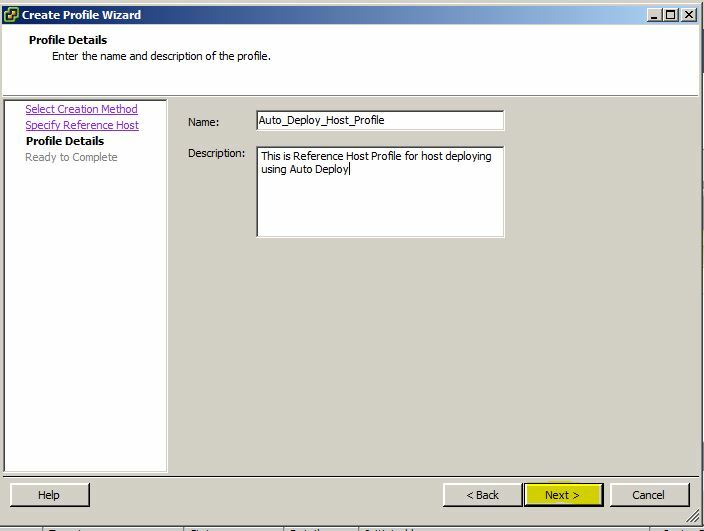 Create Software Depot / Image Profile / Deploy Rule / Create Host profiles / Update Rules with Host Profile. 5. 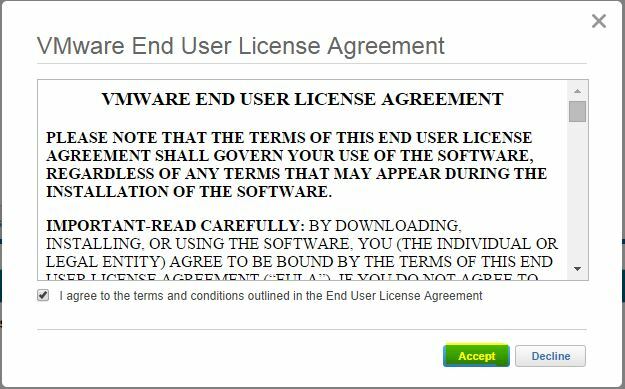 Tick the check box to Agree VMware End User Licence Agreement and Click Accept. 6. 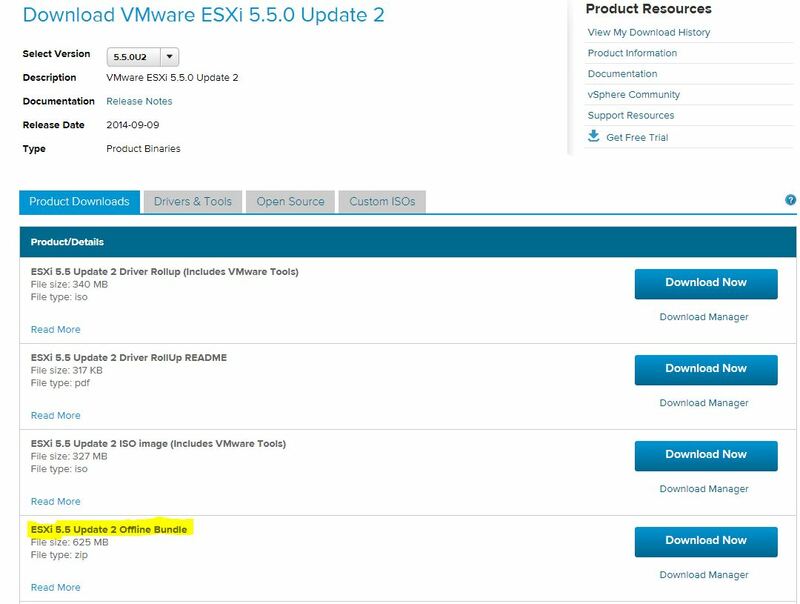 It will start downloading ESXi 5.5 offline bundle Zip file and will take few minutes to download. 7. Download others Agents / Drivers / VIBs as per your requirements to customize with bundle. 4. Open Windows PowerShell and Run Set-ExecutionPolicy remotesigned command to change the execution policy. And Click Continue to continue Installation. 5. 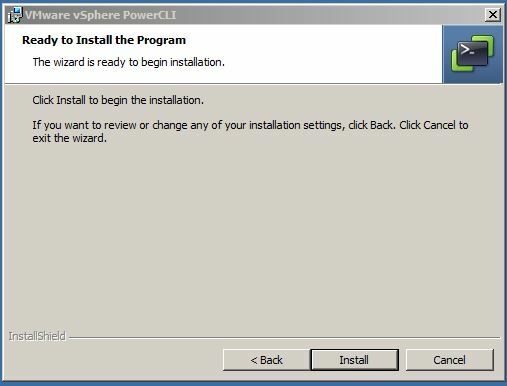 On Welcome to the VMware vSphere PowerCLI Installation screen Click Next to continue. 6. 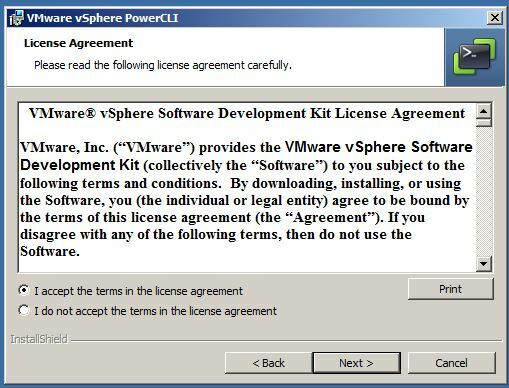 Check radio button to Accept the License Agreement and Click Next to Continue. 7. 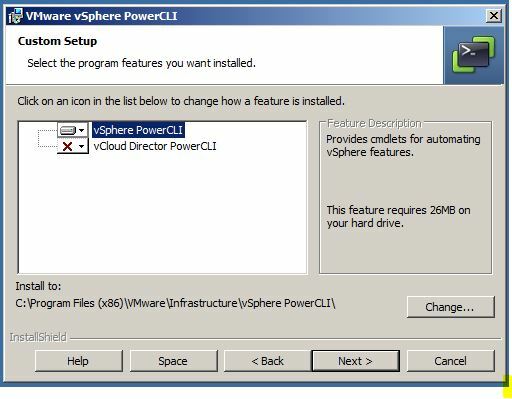 Select vSphere PowerCLI program and change the Installation location (If required) and click Next to continue. 8. On Ready to Install the Program screen click Install to begin Installation. 9. 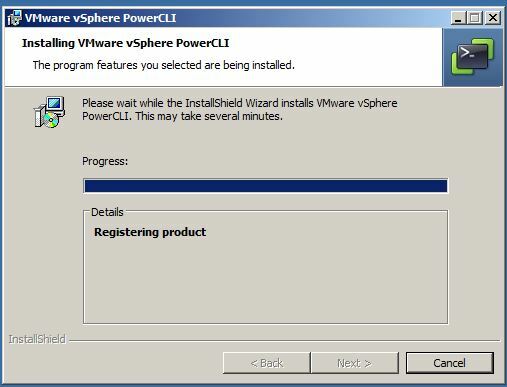 This will take few minutes to install VMware vSphere PowerCLI on the machine. 10. 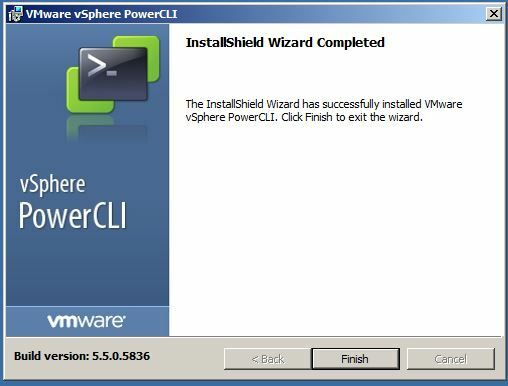 On InstallShield Wizard Completed screen click Finish to exit the wizard. 11. 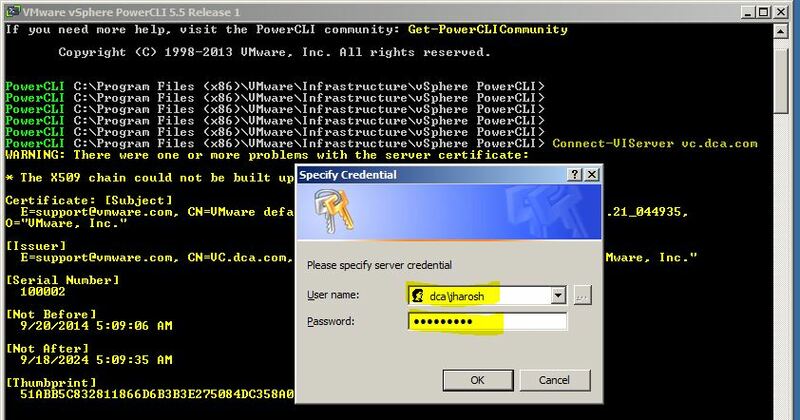 Launch VMware vSphere PowerCLI by clicking VMware vSphere PowerCLI. 12. 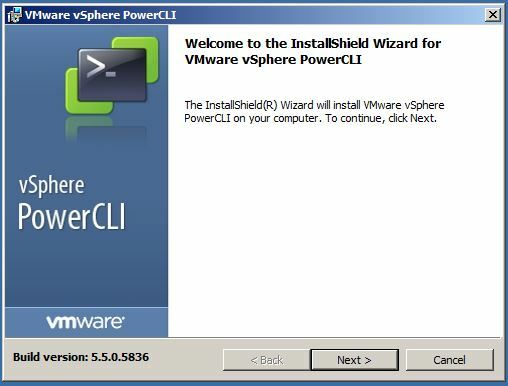 We are all set with VMware vSphere PowerCLI Installation. We have fulfilled all other requirements for Auto Deploy. 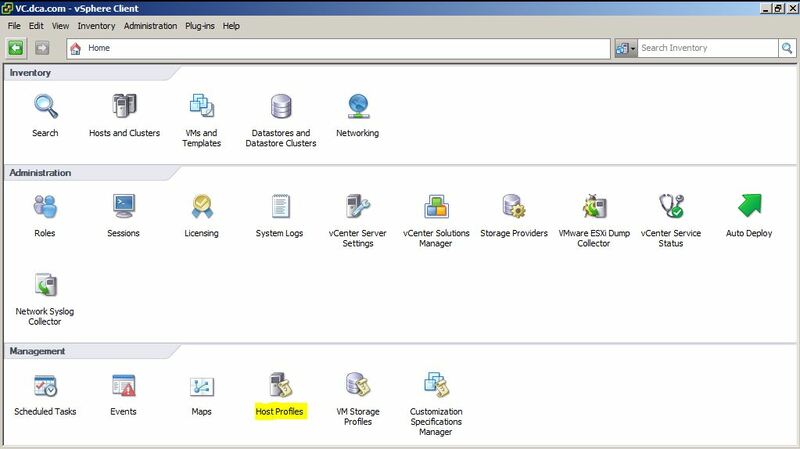 Now will discuss how to Create Software Depot / Image Profile / Deploy Rule / Create Host profiles / Update Rules with Host Profile. 1. 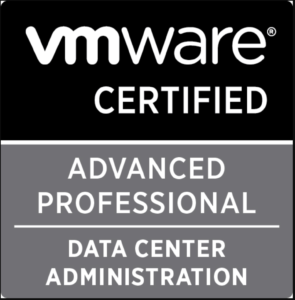 Connect to vCenter server :- Connect-VIServer vc.dca.com. 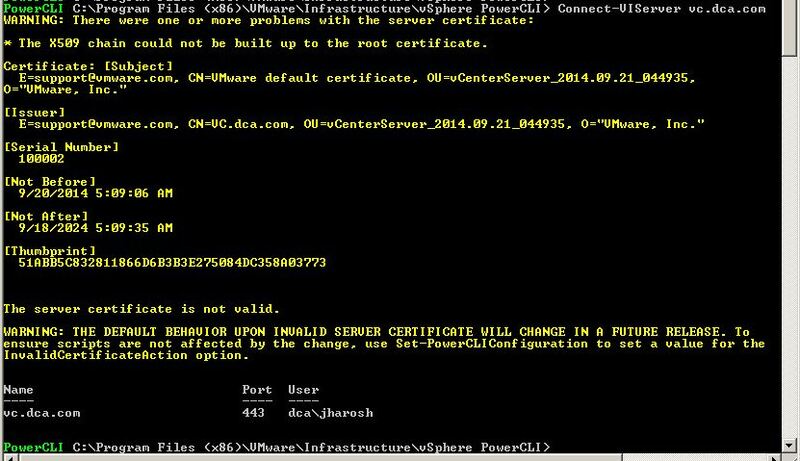 It will ask for login Credential for vCenter Server. 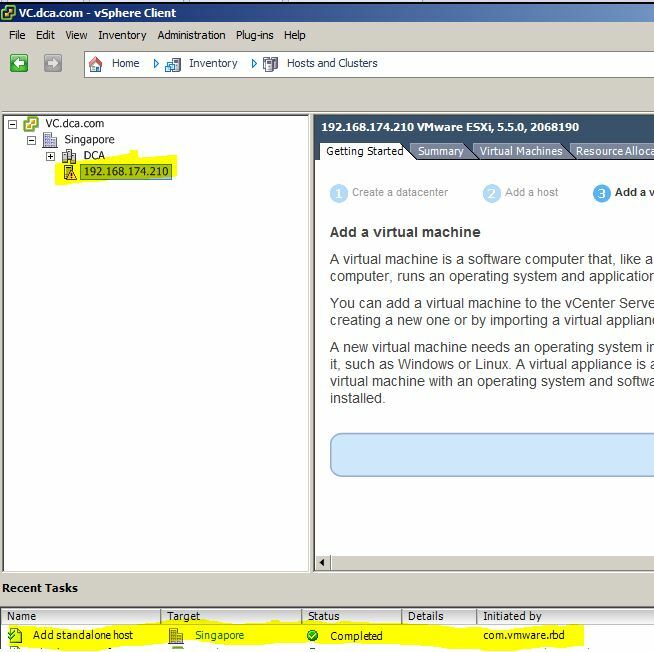 Provide User Name and Password click Ok to connect to vCenter Server. 2. 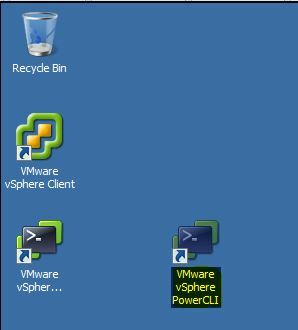 As you can see connected to vCenter Server with provided User Name. 3. First Thing we need to do is create Software Depot, but before creating Software Depot we can check any existing Depot by command :- Get-EsxSoftwareDepot. 5. Run again Get-EsxSoftwareDepot to see the Software Depot. 7. 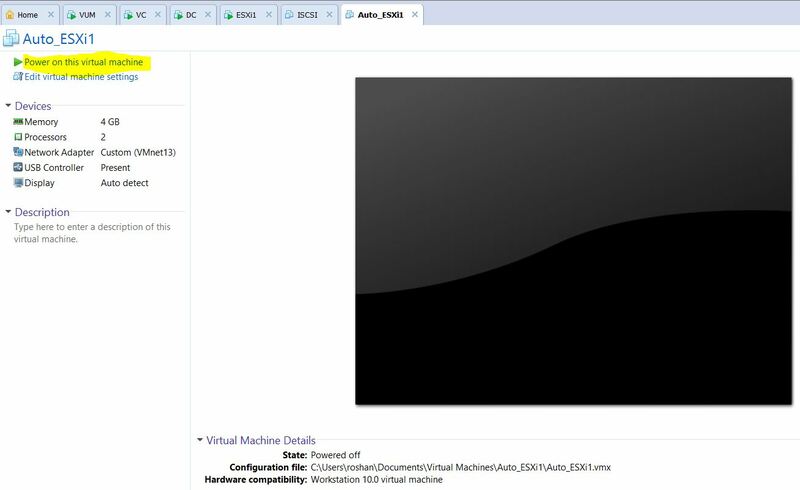 Use Get-EsxImageProfile to verify that Image Profile got created. 9. 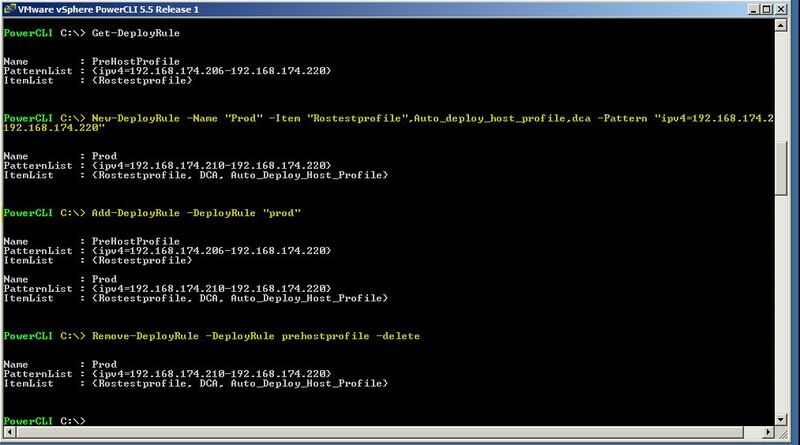 It has created Deploy Rule (PreHostProfile) for Pattern (IP Range) with Item (Image Profile) RoshtestProfile. 11. 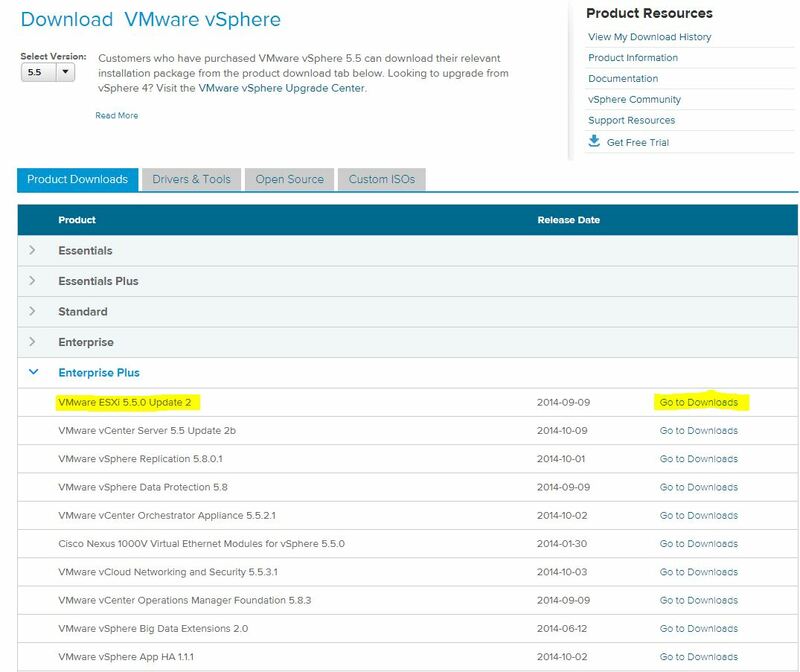 As you can see there is only one ESXi Host (esxi1.dca.com) is connected to this vCenter Server. 12. We have created Rule with Pattern for IP Range, We’ll have to create Reservation for hosts with those IP Addresses. 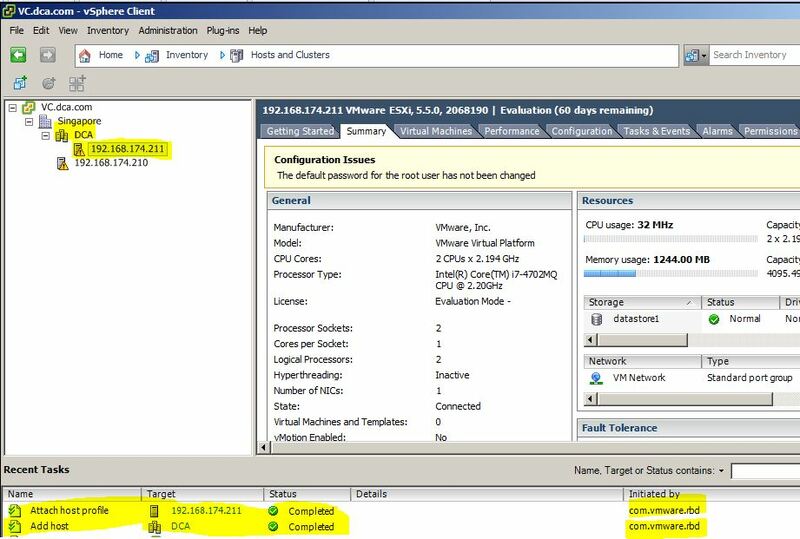 As you can see below i have created Virtual Machine (Auto_ESXi1) and reserved 192.168.174.210 IP address for host. 15. 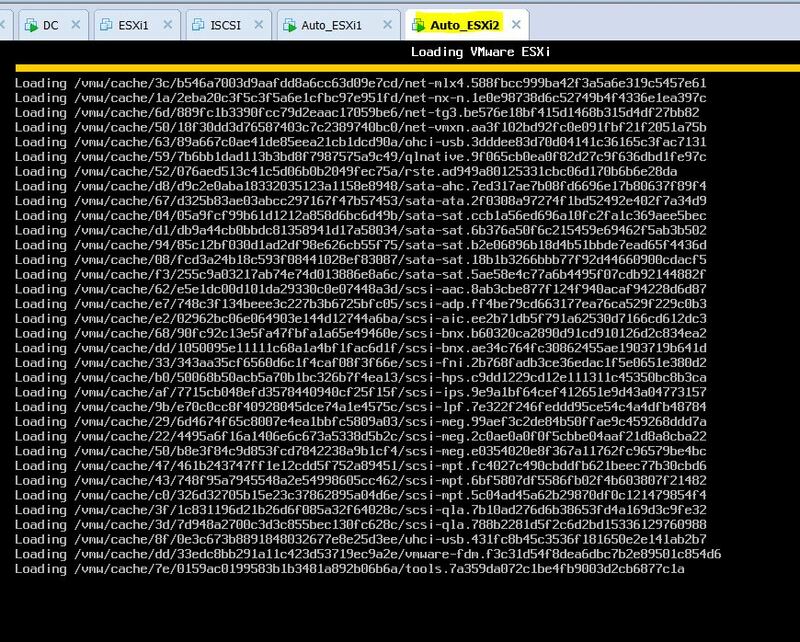 Walla… Connected to Auto Deploy Server and loading Image into Memory…. 17. 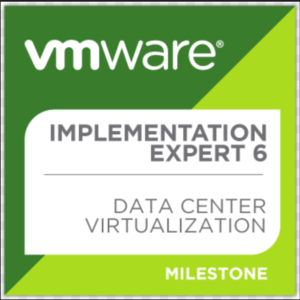 Once Installation finished host will be added to vCenter Server by Auto Deploy. 18. 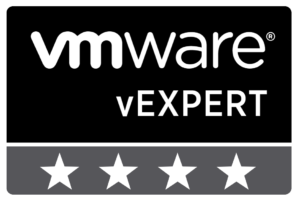 Next thing we need to do to Create Host profile, Edit Host Profile and Update Deploy Rule to apply Host profile after deploying the ESXi host. 19. 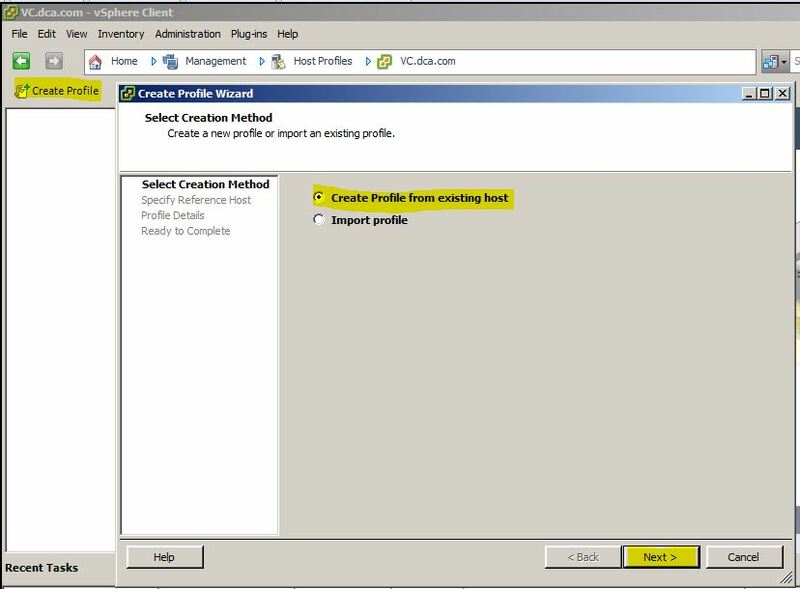 In Create Profile Wizard select Create Profile from existing Host and Click Next to continue..
20. Name the Host Profile and Click Next to continue ..
21. 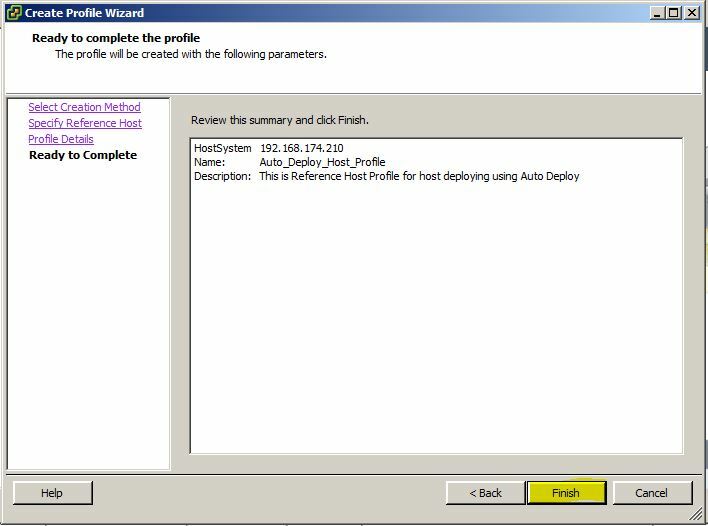 On the ready to complete the Profile Window Review and Click Finish to Create Host profile. 23. Once profile is created and edited as per requirements. 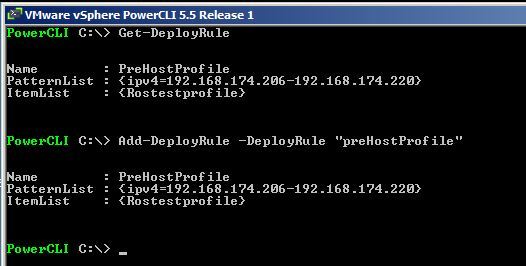 We need to Create New DeployRule with Host Profile and Cluster Name to Deploy host with Specific requirement and Add to specific Cluster. 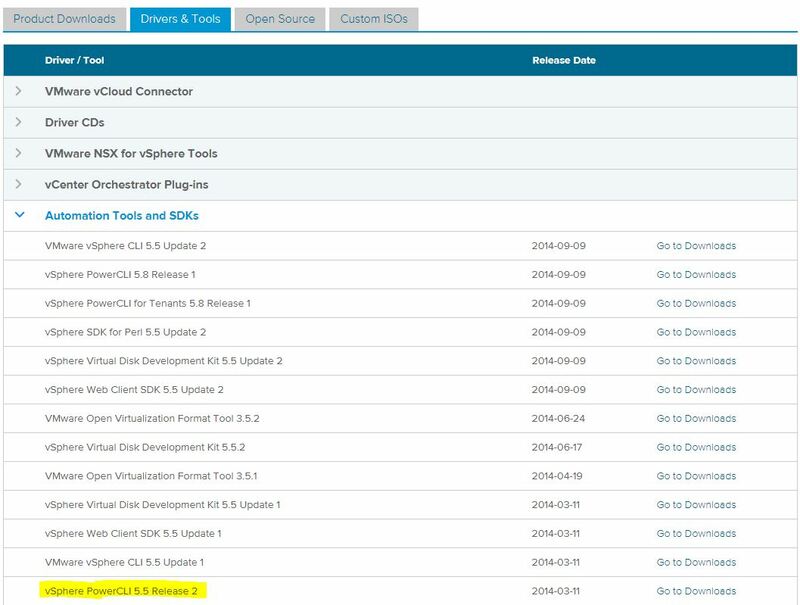 And Add/Active new created Deploy Rule. 24. 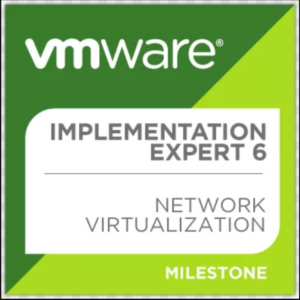 Again i have created one more VM with Name Auto_ESXi2 and reserved IP address 192.168.174.211. 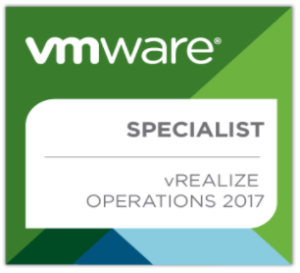 Now let’s reboot this VM to deploy with new created Rule. 25. 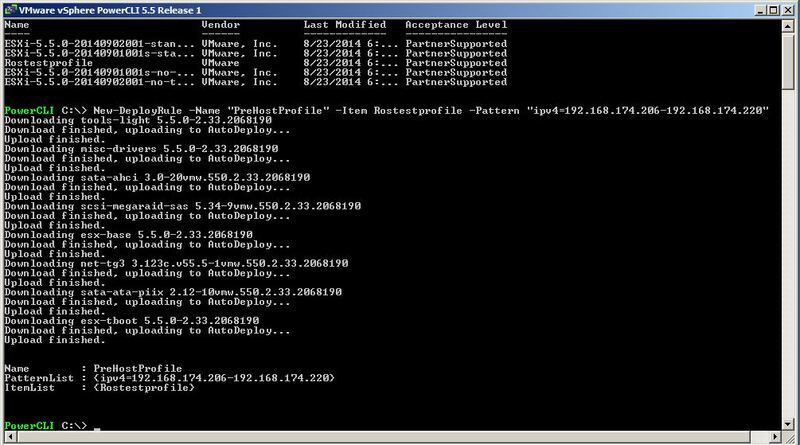 As you can see in below screen that Host Profile is being applied on the host. 26. Once all done host has been added to mentioned Cluster DCA. That’s all. Hope this will help you all. This entry was posted in vCenter, vSphere 5.X and tagged auto deploy 5.5, configure auto deploy 5.5, Create Image profile for Auto deploy, Create software depot for Auto Deploy, creating Host Profile, Image Profile, powerCLI installation, Software Depot, Stateless Auto deploy by jharosh. Bookmark the permalink.